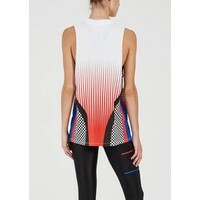 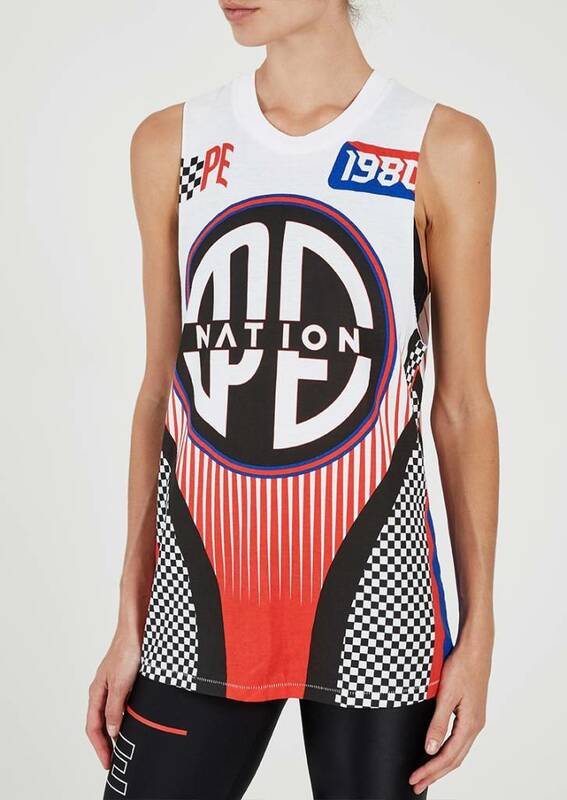 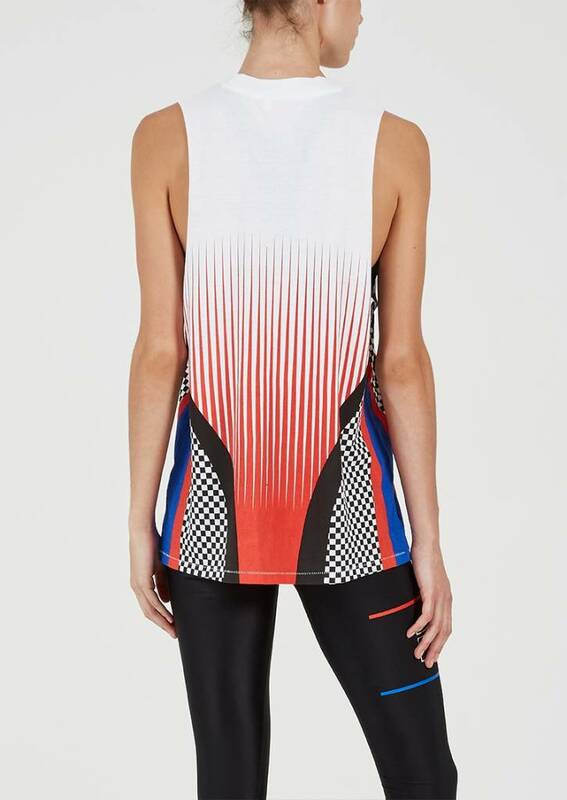 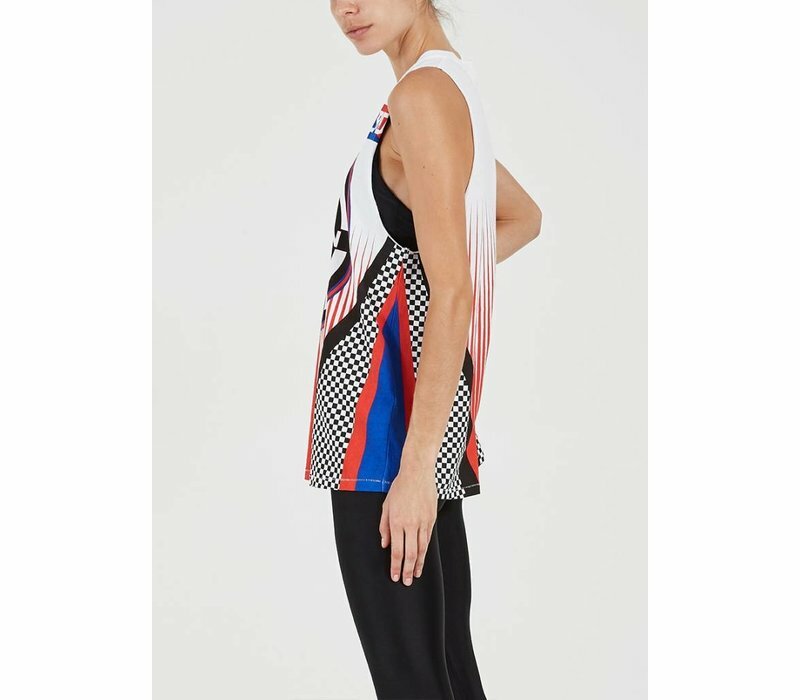 Inspired by old-school motor sports, the Soccer Tank is the perfect retro addition to your sportsluxe wardrobe. 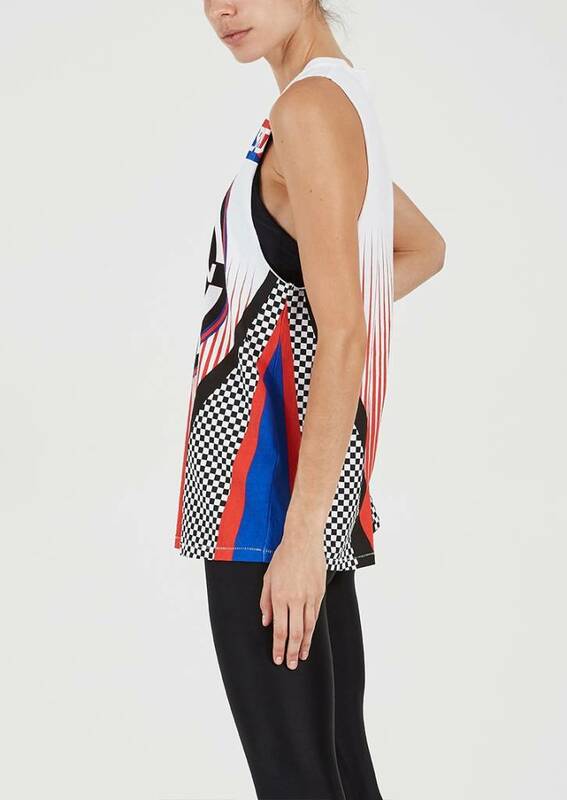 Offering a relaxed, muscle-style fit with dropped armholes for breathability and freedom of movement, this tank features a bold retro print with checkerboard and stripes. 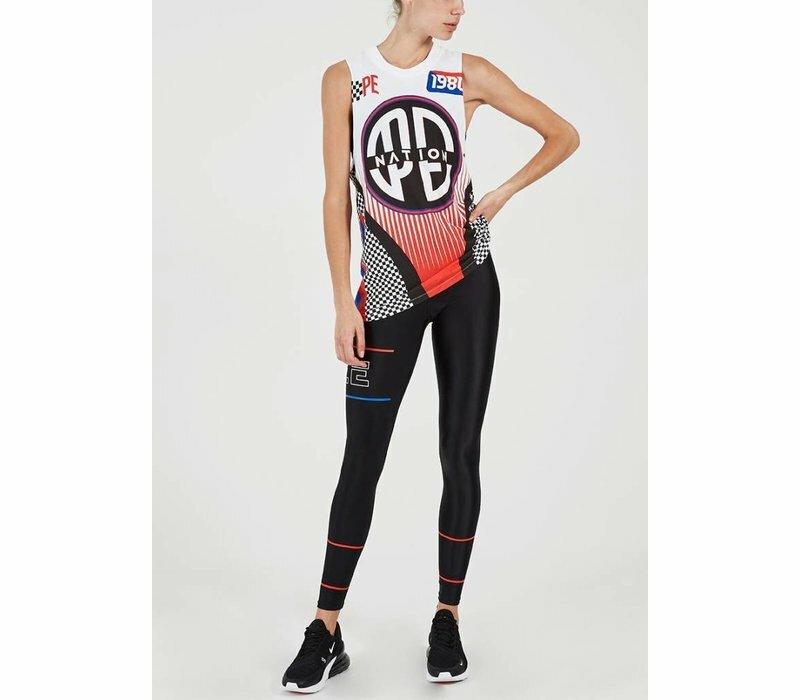 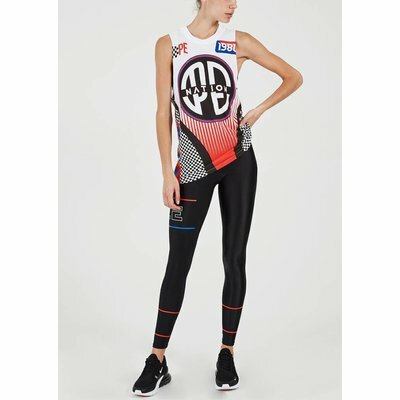 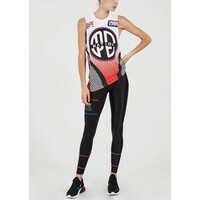 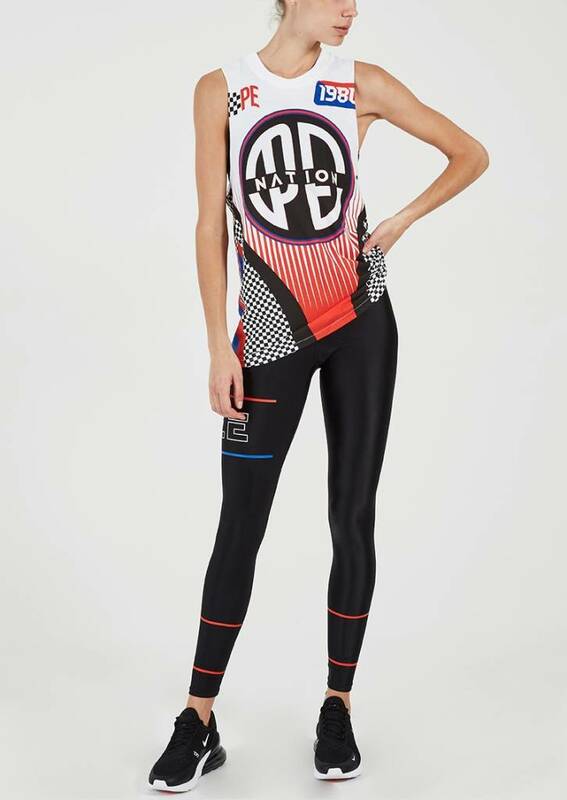 Pair with the Speed to Spare legging for a killer print-on-print set, or simply throw on a pair of trackpants for a comfortable, easy-wear outfit.